Sprocket's Upcoming Gigs Sat 27 Apr, 19 MO:DEM Promo Party, TBA, Amsterdam, Netherlands Thu 23 May, 19 Triplicity Festival, TBA, TBA, United Kingdom Mon 05 Aug, 19 MO:DEM Festival, Outdoors, Slunj, Croatia Powered by GigaTools A dash of night with a pinch of wobble, seasoned with a light sprinkling of harmonics, whisked for 30 mins in a cosmic blender.. Taking influences from groovy night, and forest trance, James manages to weave a story which twists and turns through many moods and feelings, giving the listener a satisfying ride with his chunky bass, funky rhythms, and complex textures. Encompassing many ideas, and not being tied to any specific sound, Sprocket is a cacophony of ideas, polished off with cheeky structure and clever percussion. 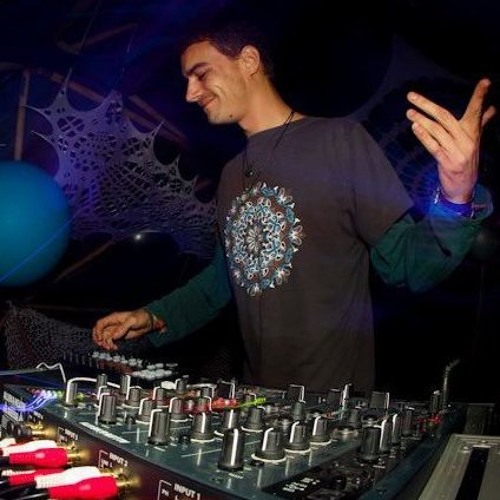 Labels Production: Blue Hour Sounds DJ: Zenon Records http://www.sprocket-audio.co.uk http://www.bluehoursounds.com http://www.zenonrecords.com Background: James has been heavily involved in the UK psytrance scene for over 10 years as both a DJ and producer - mixing many different styles throughout this time. Finally, after working hard in the studio to take that extra step and produce his own style and sounds, James took on the name 'Sprocket' for his musical productions, and has since been working hard, traveling around much of Europe to play his well received live sets at festivals such as Momento Demento, Tangra, Cosmo and, as a DJ, Freqs of Nature. James has re-focused his DJ sets onto both dark (but groovy!) progressive, and forest, which are always delivered with the same captivating energy and passion people have come to love from him. From this he has now been signed to Zenon Records and is looking forward to continuing to share this diverse and forward thinking style of music across the globe.